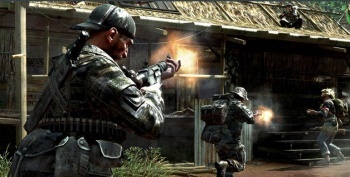 Activision: CoD Has More Players "Than Any Facebook Game"
Facebook doesn't hold any appeal for Activision right now, mainly because more folks play Call of Duty titles than any Facebook app could ever hope to have. It goes without saying that a lot of people play Activision's Call of Duty games. In fact, Activision is claiming that there are more fans of the series who are "more engaged" than any gamers who play Facebook titles. "Call of Duty has more players who pay-to-play online than any Facebook game and our players pay more per player on average than any Facebook game. "They're also more engaged - the percentage of Call of Duty's monthly unique players that play the game every day is higher than that of the top three Facebook games." Hirshberg's statement came about when he was addressing why Activision hasn't been as eager to dive into casual games on Facebook, as opposed to competitors like Electronic Arts and Ubisoft. Obviously this plan is working well for Activision so far, and the company's CEO voiced this opinion when he stated, We feel [Activision's] strategy continues to be very well aligned with the market opportunity."